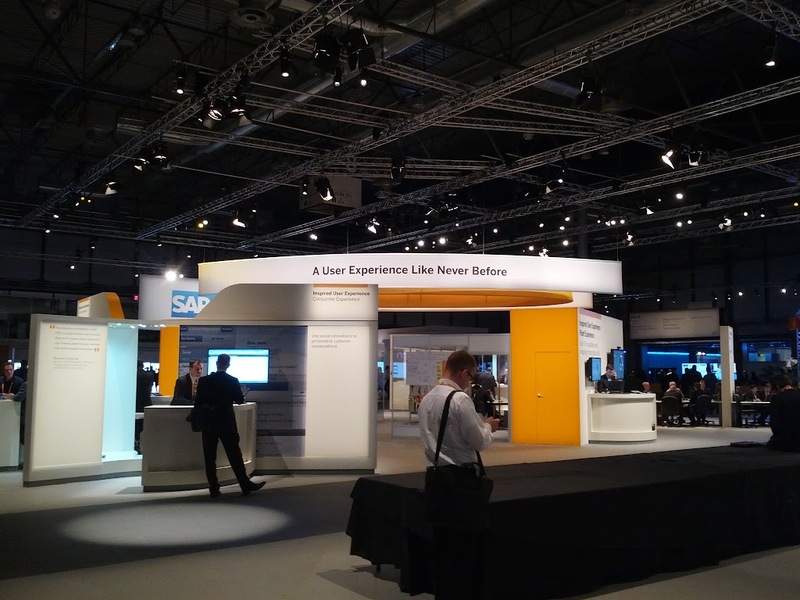 I flew down to Madrid yesterday to check out what’s happening in the SAP ecosystem at the company’s TechEd and Sapphire event. There are a ton of angles to consider in looking at the company’s comeback, but one of the most obvious is the growing influence of SAP’s Research Labs in Palo Alto. SAP’s future is in Silicon Valley… its just unevenly distributed. Everyone is all aflutter about HANA, SAP’s in memory database/systems architecture, which drove a lot of coverage – but to me the real news probably wasn’t about technology, so much as design. You see, SAP founder Hasso Plattner has invested a ton in design skills in the Palo Alto center. I have worried in the past this was a science experiment – a lot of SAP screens still looked and felt terrible. But the company’s new user interfaces are a ton more usable and are apparently built for humans, rather than data entry monkeys in a Taylorist bad dream. Words like beauty and design kept coming up in conversations – and notably in CTO Vishal Sikka’s keynote. SAP certainly isn’t alone in retooling around better Design for systems of engagement – IBM is scratching the same itch on behalf of customers. Its notable that while Adobe has essentially given up on its play for reskinning enterprise apps with better user experiences, SAP and IBM have decided to do it themselves. SAP now has a design services organisation, based in Palo Alto, working directly on customer applications. Weirder, SAP is now building consumer apps – such as MyRunway – a fashion app for the Chinese market. This doesn’t exactly look like R/3 now, does it? So SAP is investing directly in design skills, working on customer engagements to build apps for customers, and even rolling out glossy apps in emerging markets. SAP now practices shadowing to better understand user behaviours. What seemed like Silicon Valley play is now being rolled out globally to support the business. SAP’s facility may be just yards from the original Xerox Parc but the resemblance seemingly ends there. SAP is going to bring its inventions to market, rather than waiting for someone else to do it. SAP Palo Alto has an immense job on its hands to change the rest of the organisation and make it more design oriented. Its easy to scoff. But I have seen clear progress, and customers are beginning to see it to. disclosure: Adobe, IBM, and SAP are all clients. SAP paid T&E for my trip to Madrid. thanks rajiv. phototribe is certainly very different.